Released in 1989 from the album of the same name, “Forever Your Girl” describes a romantic rivalry, where another boy attempts to win Abdul’s heart with promises of fine jewelry. Written and produced by Oliver Leiber (son of Rock and Roll Hall of Fame lyricist Jerry Leiber), “Forever Your Girl” was originally titled “Small Town Girl.” The younger Leiber had written the song about a girl he was dating in Fargo, N.D. According to SongFacts.com, Leiber played the song for Abdul, who really liked it. When she inquired as to whether he could write a song for her, he modified the lyrics to better reflect Abdul's personality and a hit song was born. "Forever Your Girl" would become the second of four #1 hits from Abdul’s debut album. The others were "Straight Up," "Cold Hearted" and "Opposites Attract." The album Forever Your Girl was released in June of 1988 and spent 64 weeks on the Billboard 200 before finally reaching #1. The official video for the song features Abdul in the role of a choreographer and director of a children's music video. 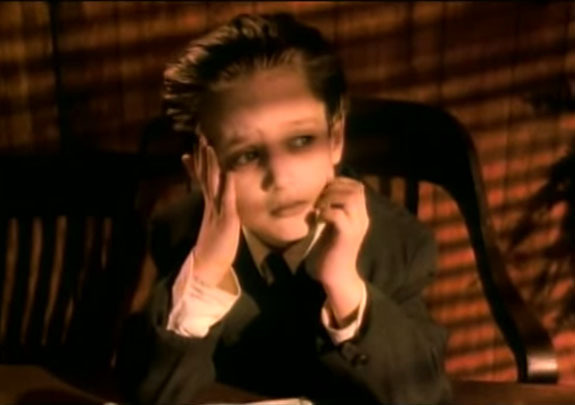 If you watch closely, you will see an eight-year-old Elijah Wood in his first on-screen performance. Wood went on to star in many critically acclaimed films, such as Radio Flyer and The Lord of the Rings trilogy. In addition to her successful singing career, Abdul is also well known as an original judge on American Idol and later on the American version of The X Factor. She also judged Dancing With the Stars and So You Think You Can Dance. Written by Oliver J. Leiber. Performed by Paula Abdul. Hey baby, just remember I'm forever your girl. Baby, forever, and ever and ever, you know I am. 'cause I can tell that something is bringin' you down. Is it the rumor that another boy wants to take your place? Have you been hearin' the stories? ain't no-one gonna tear us apart. Just remember I'm forever your girl. He could promise the world. Just remember, I'm forever your girl. And I'd never put nobody above you. Even if he promised me the world. that's the day someone will come between you and me. listen as I tell it to the world. I'll be lovin' you still. Images: Publicity shot of Paula Abdul (uncredited); screen capture via YouTube. 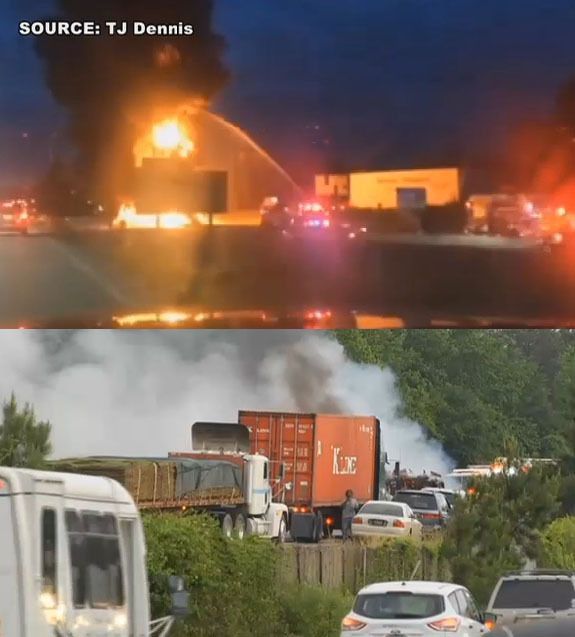 Kelly Winters was driving one of the 10 vehicles tangled in a fiery crash on South Carolina’s I-26 recently. And while Winters was hailed as a hero for pulling a trapped truck driver to safety, his own vehicle and a very precious package in the trunk were lost in the inferno. Or so he thought. Winters had planned to surprise his wife, Sherry, with a freshly resized re-engagement ring — a pretty three-stone motif, featuring three blue gemstones each surrounded by a halo of white diamonds. But, before Winters could deliver the surprise, his car and its contents were consumed by the raging fire. 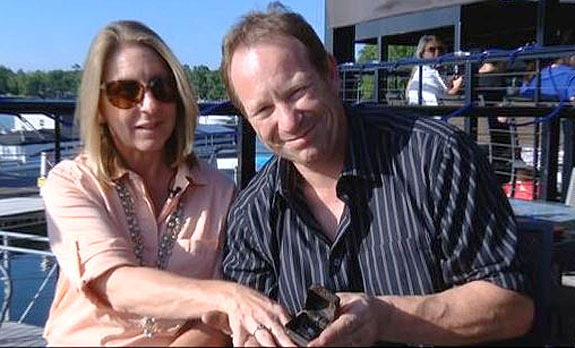 "I thought the ring was lost for sure,” Winters told WIS-TV. “I mean, everything else was gone. The car was just melted into the asphalt. It was terrible." A day after the crash, Winters learned the startling news that his Geico insurance adjusters had gone to the impound lot where his vehicle was towed, sifted through the ashes of the trunk and extracted a badly charred jewelry box containing his wife’s ring. Sherry could hardly believe that her ring emerged from the disaster with hardly a scratch. 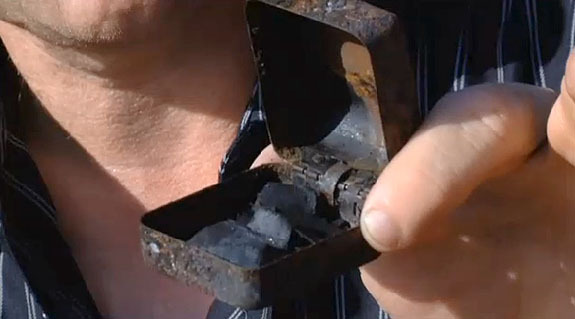 “It's amazing that out of everything in the vehicle, the only thing that survived was the ring," she said. 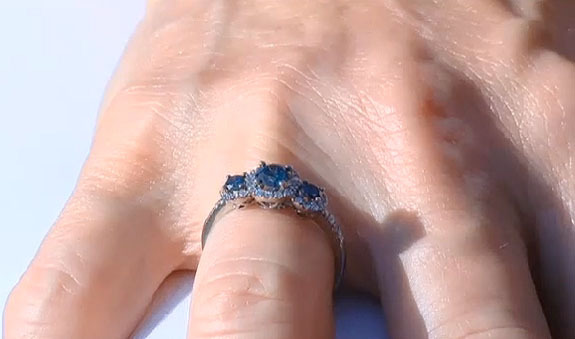 The couple told WIS-TV that the ring looks as good as it ever has. Scientifically, there’s a good reason why a gold and gemstone ring can survive a house or vehicle fire. According to the National Institute of Fire and Safety Training, house fires typically burn at 1,100 °F and car fires burn at upwards of 1,500 °F. Jewelry can come out of a burning vehicle unscathed because the melting point of 14-karat white gold, for example, is 1,825 °F and the ignition point of a diamond is somewhere between 1,520 °F and 1,652 °F. It’s not clear whether the Winters’ blue gemstones are diamonds or sapphires. If they are sapphires, they would have been able to withstand a temperature of 3,686 °F. Images: Screen captures via wistv.com. 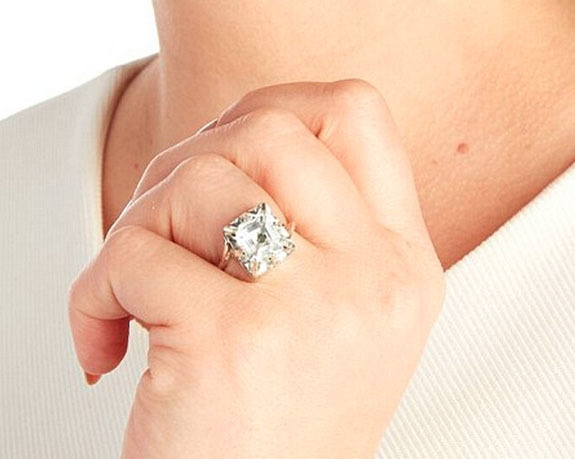 A British jeweler has designed an engagement ring that can track the wearer’s every move. Called the “Fidelity Ring,” the bridal jewelry is equipped with a wafer-thin Bluetooth chip that is discreetly slotted behind the precious stone. Now insecure men will be able to track the whereabouts of their brides and brides-to-be in real time — assuming their significant others are willing to wear the ring. Steve Bennett, the CEO of Gemporia, told The Daily Mail that the GPS technology behind the Fidelity Ring was originally intended as a way to protect jewelry from loss or theft. Bennett was looking to develop an “unloseable” ring. 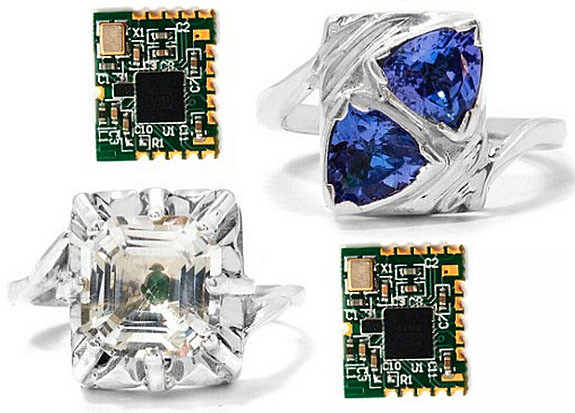 The GPS tracking device, which is smaller than a thumbnail, is hidden behind a sizable square-cut diamond in one prototype ring, and behind a pair of triangle-cut purple-blue gemstones in a second prototype. Bennett is also looking at other uses of this tracking technology, such as in children’s jewelry, so parents can keep tabs on their loved ones. Customers have also inquired about trackable rings for couples, according to Bennett. Bennett did not provide details on the chip’s range, how it is powered or what it will add to the cost of a ring. A breathtaking 120-carat Burmese ruby-and-diamond necklace sold for $13 million at Christie’s Hong Kong Magnificent Jewels sale last week, setting an auction record for the highest price ever paid for a ruby necklace. The regal neckpiece by Etcetera was the top lot in a high-powered sale that produced two other jewelry record breakers: a high-domed jadeite cabochon necklace that fetched $5.7 million and a 10.33-carat Kashmir sapphire ring that sold for $2.5 million. The jadeite now holds the record for the highest price ever paid for a jadeite cabochon. 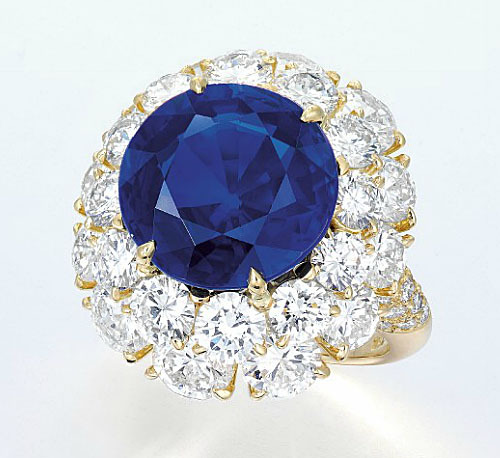 The sapphire ring’s per-carat price was the highest ever paid for a sapphire. Overall, the Christie’s sale generated nearly $117.9 million, making it the most valuable jewelry auction the Asian market has ever seen. Christie’s described the top lot of the night as an articulated brilliant-cut diamond lattice-work band centering on a line of graduated pear-shaped diamonds and framed by two rows of oval and cushion-shaped rubies ranging from 7.02 carats to 1.10 carats. 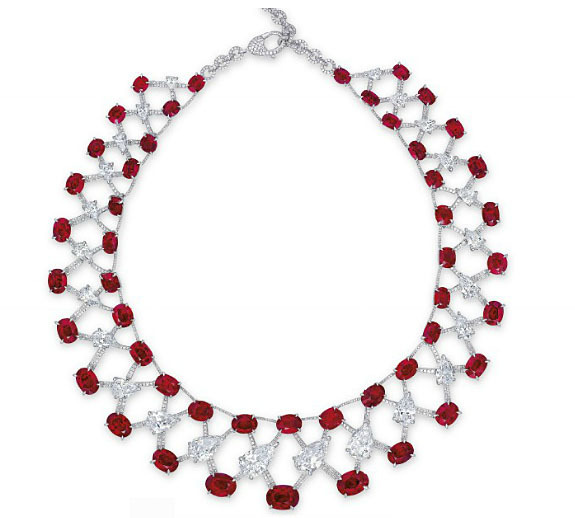 The 18-karat white gold necklace features 48 Burmese rubies with a total weight of 120 carats. 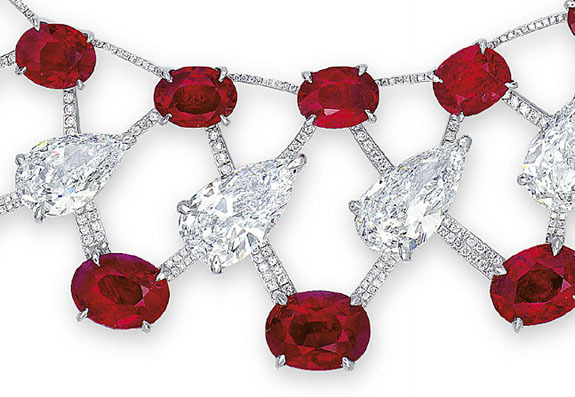 Each ruby displays the highly desirable “pigeon's blood” color. The $13 million sale price exceeded Christie’s high estimate by more than $1.5 million. Selling for $5.7 million and topping Christie’s high estimate by nearly $750,000 was this jadeite, ruby and diamond pendant necklace. 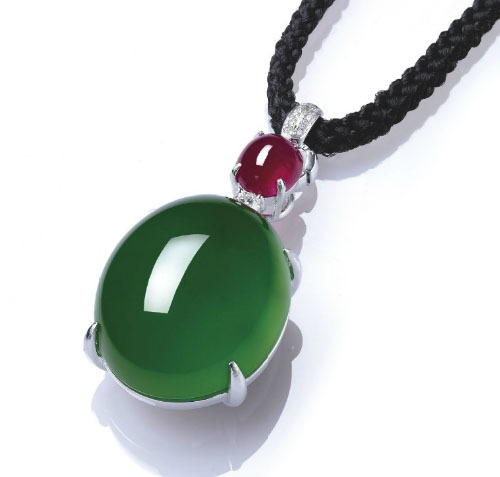 The jadeite cabochon, which boasts a vivid emerald green color and high translucency, measures 26.1 x 21.3 x 14.5 mm and is surmounted by a cabochon ruby. Christie’s third record setter was this 18-karat gold ring set with an extremely rare circular-cut 10.33-carat Kashmir sapphire. The vibrant center stone is accented with a brilliant-cut diamond two-tiered surround. The selling price of $2.5 million was slightly higher than Christie’s high estimate of $2.3 million. Archaeologists excavating a remote Aboriginal site on the Kimberley coast of Western Australia discovered a 2,000-year-old natural South Sea pearl. Nearly round, in remarkably good condition and measuring 5mm in width, the white pearl with pink and gold overtones baffled scientists. How could a natural pearl of this size, shape and age survive 2,000 years underground? This specimen was the first of its kind to be found on this island continent. 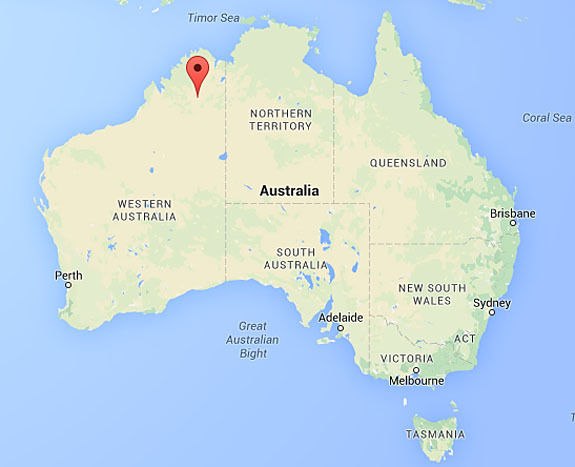 The resource-rich Kimberley region of Australia is famous for producing most of the world’s pink diamonds and for having a robust cultured pearl industry, so maybe it's not coincidental that this most recent find occurred in Kimberley. Researchers from the University of Wollongong suspected that the pearl was natural, but needed to be certain that a modern cultured pearl hadn’t been introduced to the ancient Aboriginal site. The archaeologists were challenged with the task of dating and authenticating the natural pearl without taking a sample, thereby damaging it. They decided to use a micro CT scan to prove that the pearl was naturally formed and had no nucleus (the seed that is used in the cultured pearl process.) The shell around the pearl was radiocarbon dated to about 2,000 years ago. “Natural pearls are very rare in nature and we certainly — despite many, many [oyster] shell middens being found in Australia — never found a natural pearl before,” Kat Szabo, an associate professor at the University of Wollongong, told Discovery News. A midden is a collection of refuse. 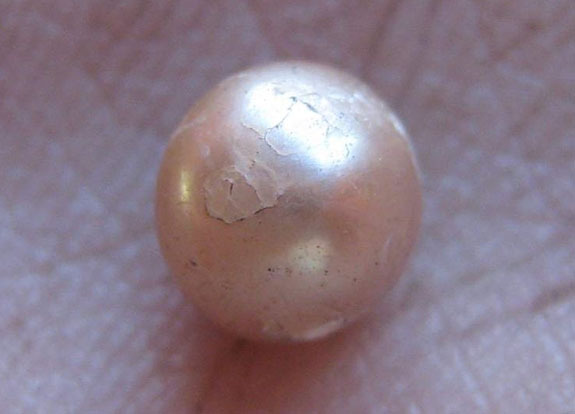 The pearl was discovered in a midden about two feet below the surface. Szabo said that it would have taken 10 years for the natural pearl to grow to the size of 5mm. Scientists had understood that the indigenous people of Australia had used oysters in rainmaking ceremonies. They were just not sure when the practice began. The age of the natural pearl offers evidence that the rainmaking ritual goes back at least two millennia. The now-famous natural pearl will go on display at the Western Australian Maritime Museum in Perth later this month. Images: University of Wollongong, Google Maps.